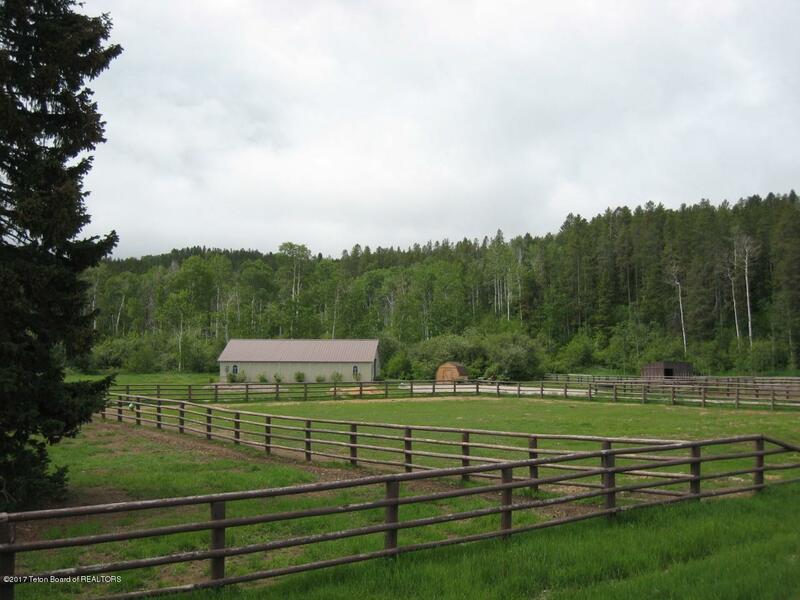 Beautiful wooded property in Victor ID at Grove Creek.The 43+ acres features an app. 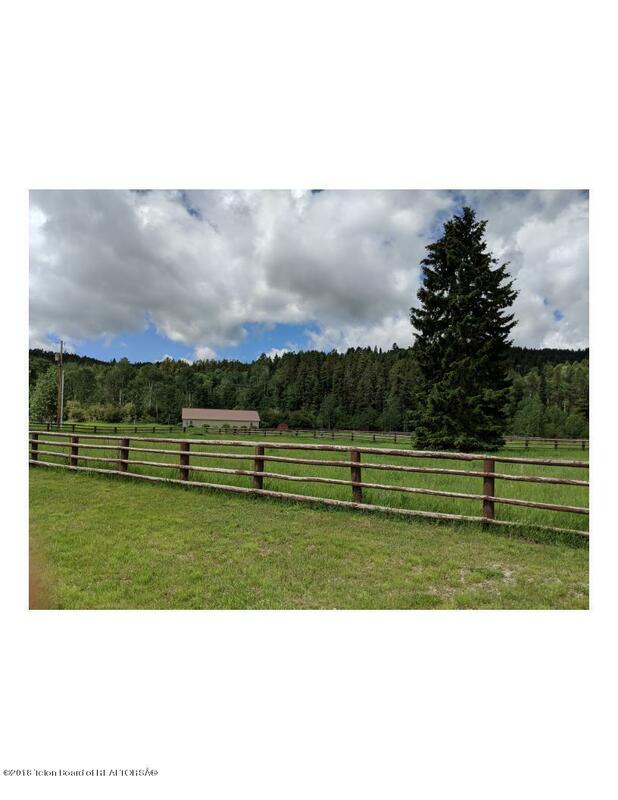 1,000 sqft 2 bed room, 2 bath cabin and an app 700 sqft 1 bed room, 1 bath cabin in the woods with year round access.Both cabins have a wood burning stove. 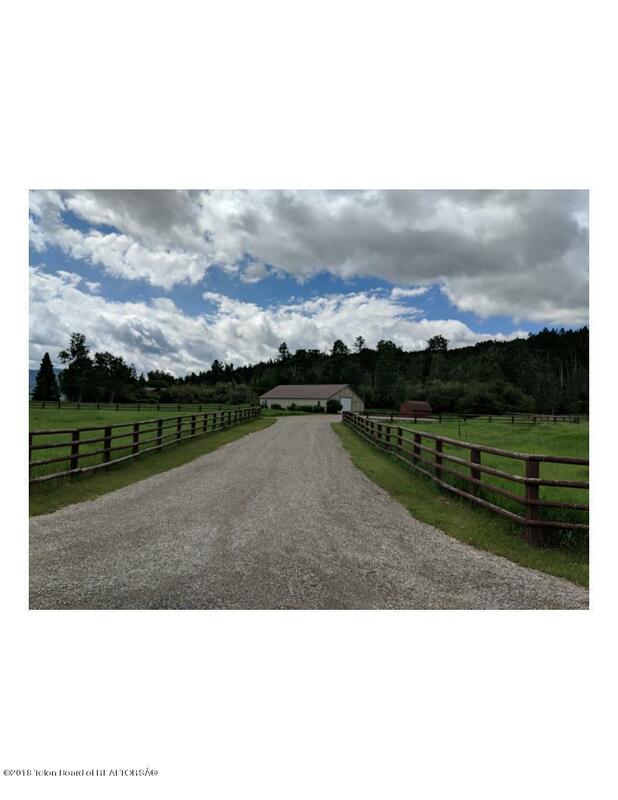 A beautiful barn with 9 stalls, a tack room and a separate bully barn, There are 4 fenced paddocks and a sand riding arena and an incredible view of the Tetons and the valley.Running water across the property from Grove Creek. 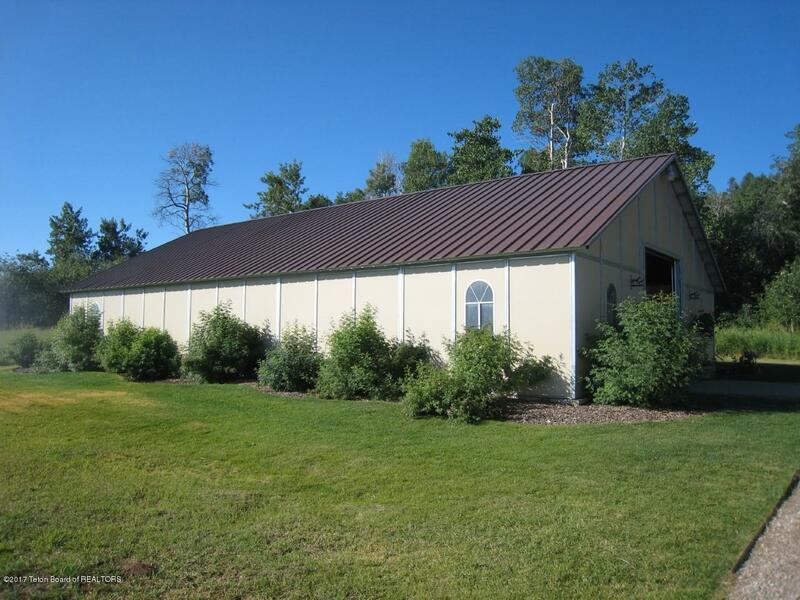 The property has an outstanding location for a building site elevated from the valley. The property includes 3 wells.